No matter how much we wish that we could always get away with our little velvet boots that even Carrie Bradshaw would approve of, sometimes thanks to our weather it’s simply not going to happen. But not to worry since snow boots these days can actually be pretty stylish whilst of course being incredibly practical. 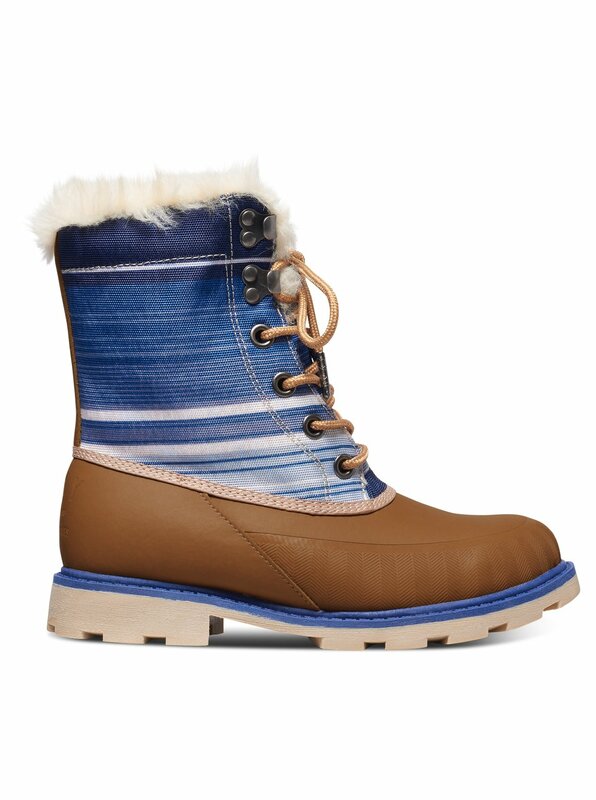 So if you’re fed up soggy frozen feet all before it’s even 9 in the morning, get yourself a pair of trendy snow boots. Your feet will thank you and you’ll love their cosiness. With the comfort of Uggs with none of the sponge-like problems associated with them, here are some of our favourite snow boot styles. In the last 5-10 years, Sorel has become one of the go to brands for people looking for robust weather-proof boots that also look good. The most popular style is probably the Caribou which comes in a nice tan colour with sheep-skin lining, non-slip soles and the iconic lace-up. However we think you don’t always have to go with the crowd, and since their whole range is great quality and has been thoroughly tested to withstand the harshest of conditions and is even under guarantee, whatever Sorel boot you pick is going to be good. At the moment we love the Glacy Explorer boot; modern, a bit lighter and available in a cool black and white version, it’s going to look great with our skinny jeans and puffer jackets this season. Roxy is the cool outdoorsy brand that is heavily into its surfing and snowboarding so it’s no surprise that we’re going to love a pair of their tough yet girly snow boots. These sturdy boots are pretty reminiscent of your stereotypical tan winter boots that both men and women love to wear with their jeans, but they of course have just a little bit of extra style. With some faux fur, a funky blue design and blue accent colour added to the sole too, we can’t wait to wear these this winter since they look like they’re going to be ice crushers! If Russian beauties are anything to go by, we don’t always have to ditch our heels as soon as the weather starts to turn for the worse, and if you are a fan of your high heels, then these are the winter boots for you. In the classic Timberland design, these are still somehow totally dainty with the little block heel, and have an incredibly grippy sole at the same time. These boots are definitely the glamour-puss of the winter boot world and will look great when we’re out and about this season. As you can see, snow boots can be pretty much fabulous meaning that we can’t wait to see those first frosty snowflakes starting to fall!